Drummore Community Hall could be transferred into community ownership for a nominal sum of £1. At Wigtown Area Committee on 10th February members will be asked to put forward the recommendation to Dumfries and Galloway Council’s Policy and Resources Committee. The Community Hall was closed as part of the Council’s budget savings in 2013, resulting in annual savings of £5,437. The Kirkmaiden Information Centre, based on the ground floor, continues to operate for six months of the year from the premises because, at the time of closing, there was no other suitable alternative provision available within Drummore for the information Centre to relocate to. In October 2103 the upstairs Hall area was demolished for health and safety and accessibility reasons. This effectively leaves the building as a terraced house. The Mull of Galloway Trust, in conjunction with the Information Centre, has requested that the building be transferred to community ownership for a nominal amount of £1. The Trust has already successfully taken over ownership and running of the land and facilities at the mull of Galloway from the Northern Lighthouse Board. The Trust’s work includes operating the award-winning Mull of Galloway Experience as a joint venture with the South Rhins Community Development Trust. 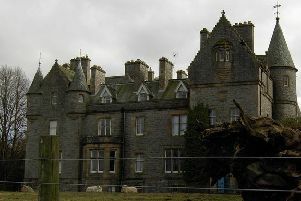 Legally, where the capital value of the land is greater than £10,000 but the proposal is to dispose of the land for less than 75% of the capital value, The Council are required to appraise and compare the costs, the disadvantages and benefits of the proposal; be satisfied that the disposal of the building is for a reasonable purpose; and agree that disposal is likely to contribute to either economic development or regeneration, improved health and/or social / environmental well-being in respect of the surrounding area and residents. Council officers have estimated that the market value of this property as £80,000. The Trusts believe that community ownership of the property will ensure the future of the Information Centre and facilitate the provision of affordable rented accommodation in the village. The Mull of Galloway Trust also believe that this development will further improve community spirit and cohesion and will lead to further joint marketing and advertising with other organisations to increase chances of obtaining external grants for project funding. Through this the Trust hopes to improve energy efficiency, enhance the internal environment and upgrade the building in general. Chair of Wigtown Area Committee, Councillor Marion McCutcheon, said: “Providing we agree that this is a viable and sustainable project, by transferring ownership of this building to The Mull of Galloway Trust we will be ensuring that there will be a positive contribution to the well-being of the local community.